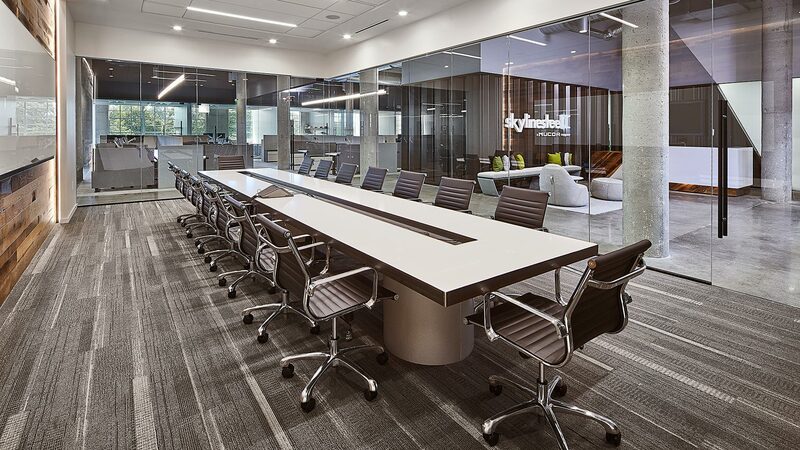 Skyline Steel (a Nucor affiliate) supplies a wide range of specialized steel products and comprehensive engineering services that covers the entire US. 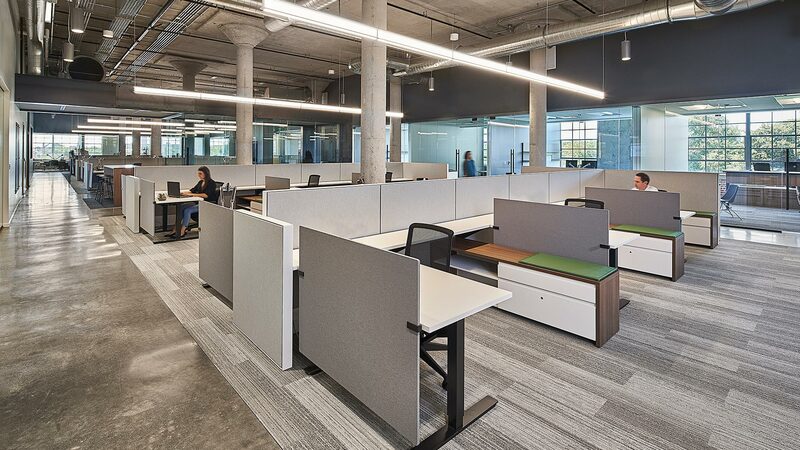 Their newest location of Charlotte was strategic due to so much growth in the region. 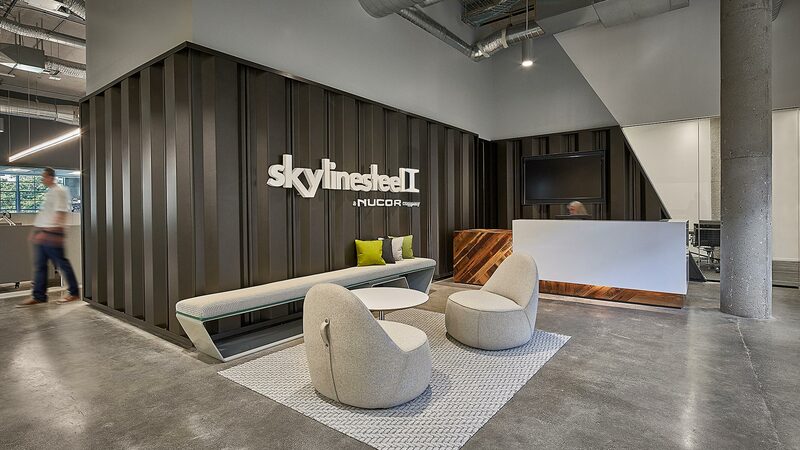 The front lobby is wrapped by steel sheet-piles and accented by a floating bench. 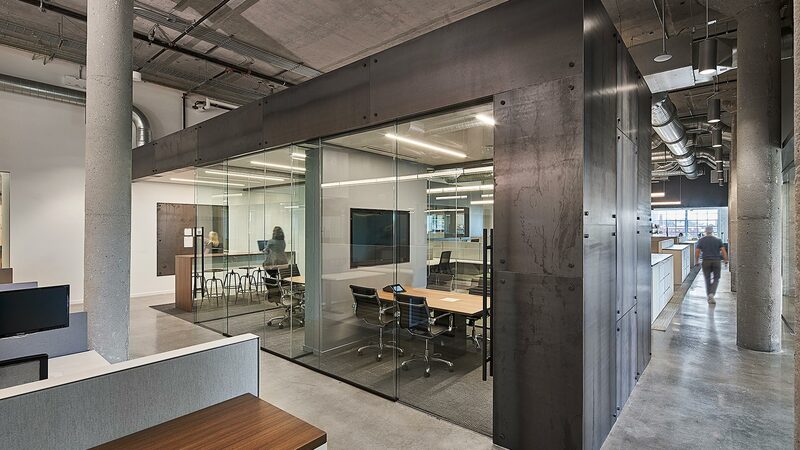 The collaborative area includes a floating “bridge” element that spans over 3 rooms and incorporates a steel x-brace and is clad in raw plate-steel with open glass below. 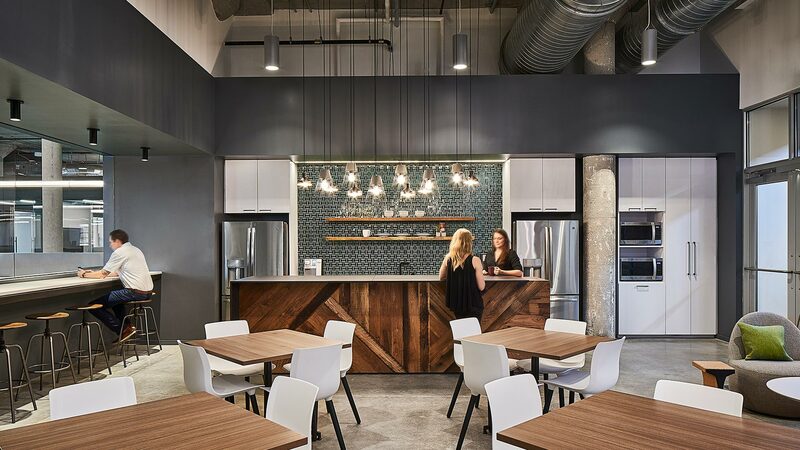 The generous break room also has steel accents, including light fixtures wrapped with a rebar look. Accenting the raw steel is a series of soothing greens, warm charcoals and bright whites. 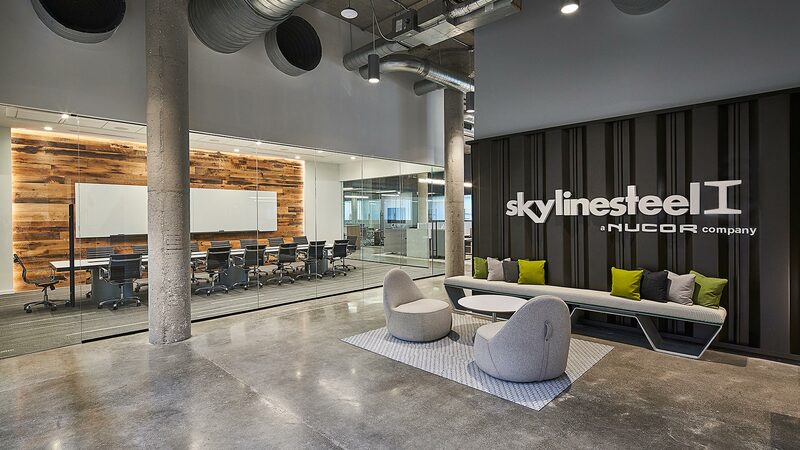 The end result is a subtle showcase of their products used in feature elements that highlight Skyline’s industry and creativity.